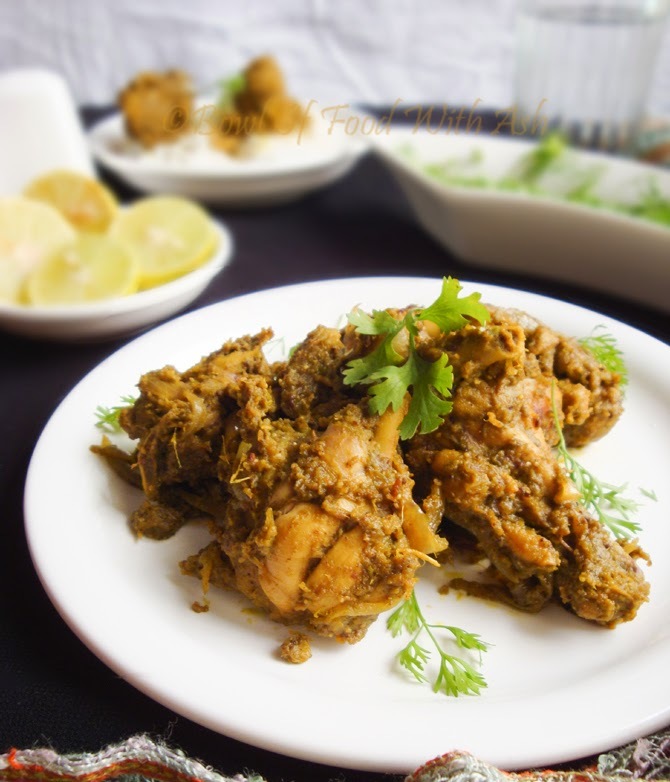 Chicken Cafreal is a spicy dish from Goa, Coastal Paradise :). 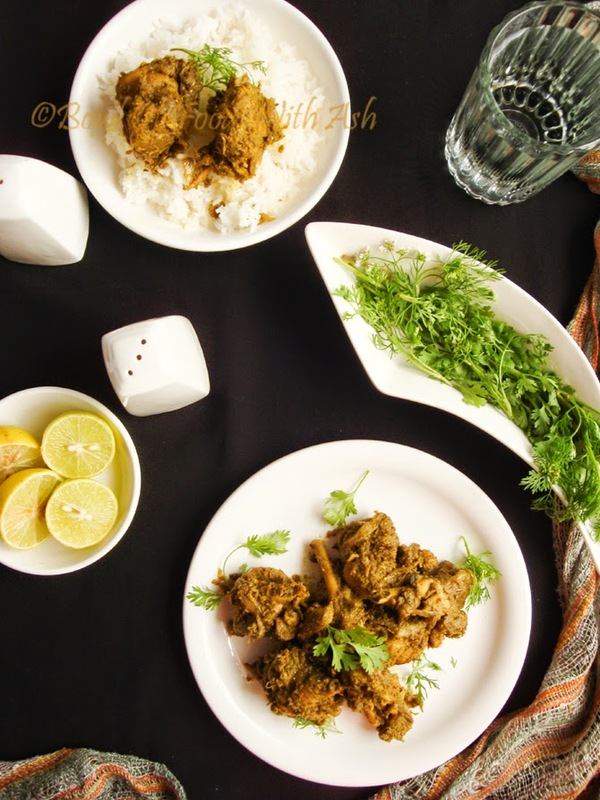 Being from coastal (very near to Goa :)), I love all coastal dishes . This is such an easy recipe ,yet so delicious and flavorful. This will be a green colour since we use green chilly and coriander leaves. This will be on my menu for all special occasions , for Guests . You can easily marinate in the night and Just cook next day. No preparation required . It will be quick and easy to manage. 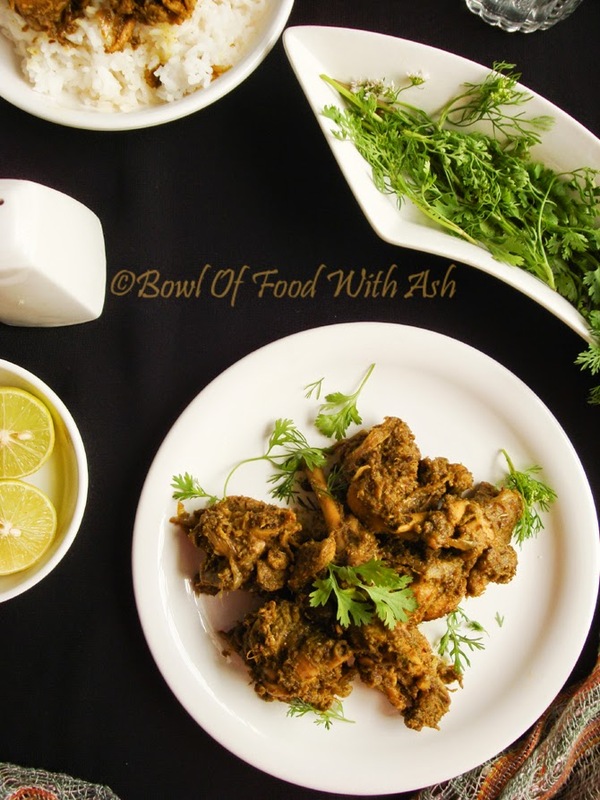 1.Cut the Chicken into bite sized pieces and Rub the chicken pieces with salt and ginger garlic paste and keep aside. 2.Roast Cinnamon,Cloves,Pepper,Cumin, Poppy seeds(khus khus) in a a pan and transfer to Grinder. 3.Add Ginger,Garlic,Green Chilly,Coriander Leaves, turmeric,tamarind juice to grinder. 4.Make a paste of it using very little water.Paste should be thick.This is Cafreal Masala. 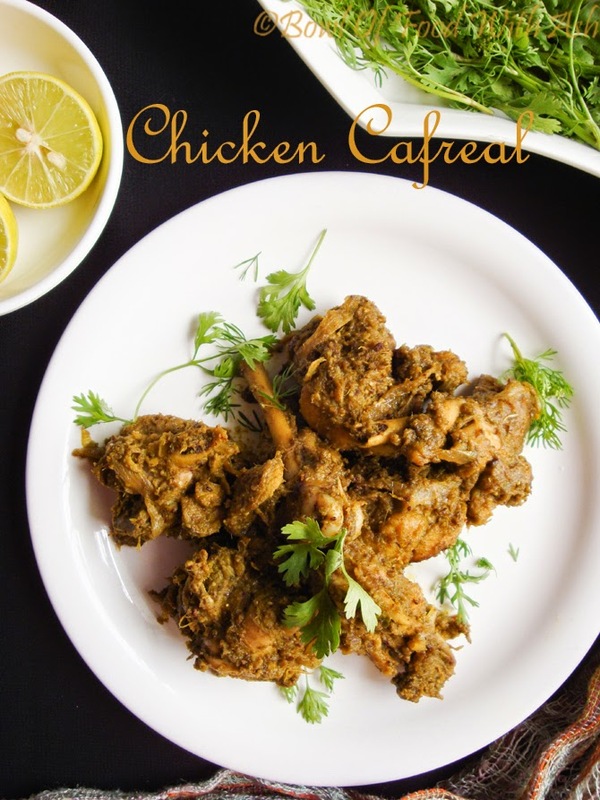 5.Now marinate the chicken with this cafreal masala and keep in refrigerator for atleast 1 Hour. Keeping it overnight will be better. 6.Keep the chicken outside the refrigerator to bring to room temperature. 8.Now in a pan add oil. When it is hot add the onion and saute till it turns to light brown. 9.Now add the chicken along with cafreal masala and cook on High flame for 3-4 Minutes. 10.Now reduce the flame to low and cook covered for 15 to 20 minutes. Do not add any water.Chicken will leave water. 11.Cook till all the water gets dried and chicken is cooked. 12.Add the butter and mix well at the end and switch off. 13.Serve with salad and lemon wedges :). 1.If chicken becomes dry sprinkle little water in between while cooking.I did not add any water. 2.You can even grill the Chicken after marination.